We have a very tasty treat for you this month, as our latest issue focuses upon food and drink. There is an outdated idea that our national cuisine is bland, yet nothing could be further from the truth as we set out to prove. 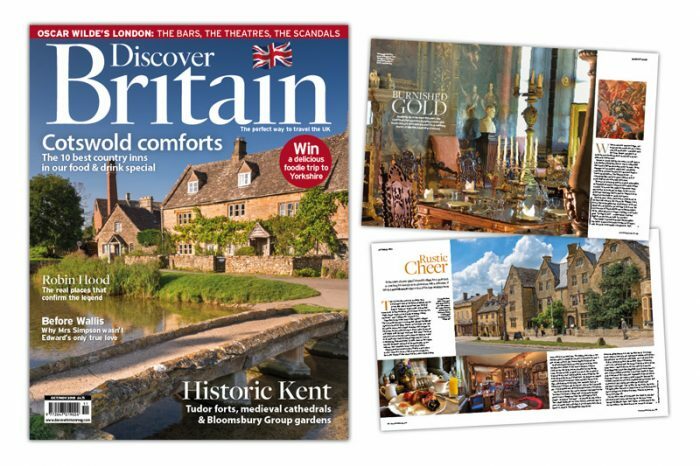 So, on the menu for issue 206, we have a starter of Britain’s best towns for foodies to visit, a main course of cosy Cotswold inns, and a large measure of London gin history to wash it all down with. There’s even the chance to win a delicious foodie trip to Yorkshire. Pick up the latest issue from our online store today to read all these stories and more.